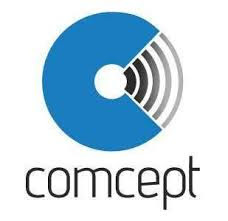 Comcept (Pvt) Ltd was founded in 1992 by a team of multi-disciplined and experienced R&D Engineers with a broad objective to develop and provide indigenous, innovative, customized and affordable engineering solutions. Comcept Pvt Ltd. is as ISO 9001-2008 certified IT Solution and alternative energy based which offers broad array of innovative solution and products. An Internship is a form of experiential learning that integrates knowledge and theory learned in the classroom with practical application and skills development in a professional setting. Internship give students the opportunity to gain valuable applied experience and make connections in professional fields they are considering for career path; and give employers the opportunity to guide and evaluate talent. We are looking for self-motivated individual who can take initiative to maintain high corporate standards of excellence. Internship program 2018 for all fresh graduate(s) and also for those student(s) whose are in-progress in their study and wants to gain practical experience with cooperate sector / company environment. The candidate(s) will prove itself as a roll model after the completion their tenure in the custody of highly skilled, professional and experts. Please find the relevant information below for your further assistance. I hope this article helps you, I will be writing more on these sorts of jobs and don't forget to follow my blog Ali Khan Blogs on facebook at Akblogspk.